QUEZON CITY, Philippines – The Montfortian family in the Philippines was filled with joy and gratefulness to God as novices: Jumamildar Sawitan, Lord Ansel Glenn Bongcas, Wilson Tembo, and Precious Fukizi, made their first public profession on 1st August 2018, at the Montfort Center of Spirituality. The Holy Mass was presided by Rev. Fr. Richard J. Magararu, SMM, the Delegate Superior. Fr. Richard in his homily, highlighted the relevance of religious profession in today’s world. He explained intensively for everyone to understand the differences between ordination and first profession in the congregation. “First, we become religious before we become priests. The First profession is the first try of living out the evangelical counsels namely; obedience, poverty and chastity. During the novitiate process they are initiated deeply into religious life as Montfortians”, he emphasized. He also explained succinctly about the three evangelical counsels as life of obedience, detachment to worldly materials and total availability to the congregation and the Church at large. Speaking on behalf of the newly professed confreres, Bros. Wilson Tembo, SMM and Lord Ansel Glenn, SMM thanked God for His care and protection in their vocation discernment. They extended their heart-felt gratitude to the Superior General and his council, the Superior Delegates of the Philippines and Africa Anglophone, the formators and the many people who have helped them in their formation. The occasion was graced by the presence of the Montfortian priests and brothers, the religious from different congregations, family members of the newly professed confreres, the faithful, TTJ’ers, friends, benefactors and distinguished guests. 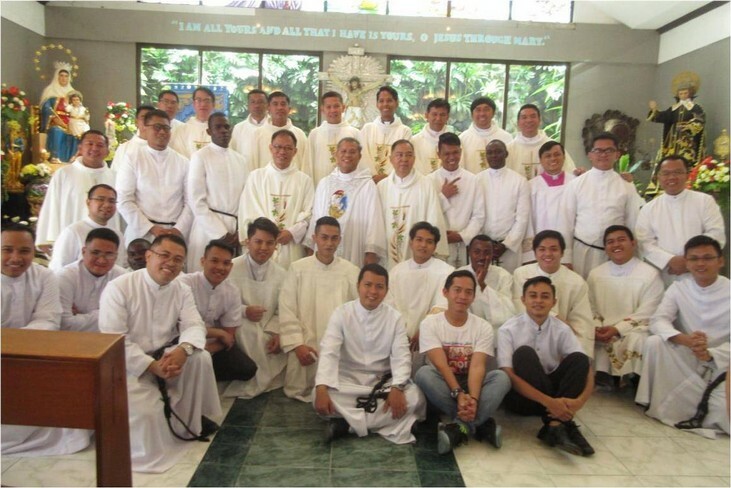 The newly professed confreres are from the Philippines, Zambia and Malawi. May the profession of the evangelical counsels, with the grace and mercy of God, and through the motherly intercession of Mary, inspires and moves our hearts towards reaching the life of perfection and inner freedom creating a new bond of consecration and commitment to live and love God and others for His greater glory and honor.